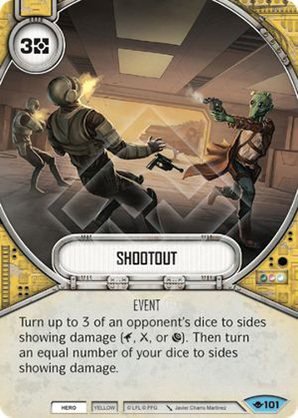 Turn up to 3 of an opponent's dice to sides showing damage (, or ). Then turn an equal number of your dice to sides showing damage. Way of the Force #101.